Parents know that their children’s eyes are on them, watching their every move. A baby will try to imitate the faces that her caregiver makes at her. A toddler will want to “cook” with pans or push a broom just like mommy. A preschooler wants to use the computer or wash the car like daddy. If a child sees a parent pray and read the Bible, he or she will want to do that as well. Unfortunately, children also pick up our bad habits as any one who has ever had a child repeat a four-letter word used in a moment of forgetfulness can attest to! Our children aren’t the only ones watching us. I’m sure you have heard someone say some version of the following: “Church-goers are such hypocrites! They go to Church on Sunday but they go around doing bad things the rest of the week.” People know if we go to Church and they watch us more closely. Justified or not, they expect more from us. The expectations are even higher for those who exercise ministry in the Church. Jesus said, “It is by your love for one another, that everyone will recognize you as my disciples” (John 13:35). If we profess to be Christian, this is the standard by which we will be judged. Obviously, none of us are perfect. It has been said that the only perfect Church is the one we aren’t in. That is true. At least in this world, the people of God is made up of a lot of flawed human beings. We become selfish, we break the commandments, and we make mistakes. We also seek forgiveness and get up and try again. And yet, love is the standard. Do people see us loving our neighbor? Do they see us treating those around us with kindness? Do they see us caring for our children in a respectful manner? Do they see us doing our jobs in an ethical manner – treating others as we would want to be treated? Do they see us caring for the elderly and the poor? Do they hear us saying good things about others rather than spreading idle gossip? Do they see us forgiving those who have hurt us? Do they see us radiating the joy that comes from love? Jesus has provided us with a roadmap for living as his disciples. If we want to attract people to our faith, to join us in the pews and as workers for Christ, we need to show that this way of life is an attractive one. We need to demonstrate that our faith does impact the way that we live. We can’t spend our 45 minutes at Church on Sunday and think that we have done our duty. We need to have the love of Christ affect all that we do. Just as our children watch to see what we are doing and try to imitate us, those who are observing us as Christians will want to imitate us as well if we provide a positive example. Yes, the standard is high, but Jesus has faith in us. He calls us to “be perfect, just as your Heavenly Father is perfect.” (Matthew 5:48) While we may never reach that state here on earth, it certainly does give us something to strive for. Next time you are thinking of engaging in some behavior that doesn’t meet the “love your neighbor” standard, think of the eyes that are watching you. Try to be a good advertisement for the Christian way of life. I had forgotten that JPII was involved in the arts himself until just recently. I was reading a catholic magazine and came across an ad for "The Jeweler's Shop" - a DVD based on a play by Karol Wojtyla (JPII's name before he was Pope). While I had known he was involved in the theater as a young man, I didn't know he had done any writing himself and I was intrigued. I was able to obtain a copy of the play through my library system. "The Jeweler's Shop" was first published in the December 1960 issue of the Catholic monthly "Znak" under the pseudonym Andrzej Jawien while Wojtyla was Bishop. It was subtitles "A Meditation on the Sacrament of Matrimony, Passing on Occasion into a Drama." Some might wonder what a celibate man could have to say about the sacrament of Matrimony, but as with his much later "Theology of the Body" that JPII is well-known for, he does have surprising insight into the heart and the nature of human relationships. The play focuses on three couples at various stages of relationship, the last couple being the son and daughter of the first two. The first couple has just become engaged and while their love is not passionate, they have realized that they need each other and want a future with the other in it. The second couple have a love in disarray. The third is trying to embark on their future together but the woman Monica's ability to love and trust has been harmed from witnessing her own parents' troubled union. The play's style is unique in that the characters very rarely speak to each other. It is most often a series of monologues - of interior thoughts and retelling of events. At times a chorus speaks - reminiscent of Greek theater. This play was designed to be performed on a spartan set with little room for action. And yet, it is probing and insightful, offering a reflection on human love as well as on its author. Rebecca and I had a talk about suffering last night after dinner. We had watched the new Padre Pio film — part one two nights ago, part two last night — and it stirred up some deep thoughts. We had breakfast for dinner, which I love to do. As we picked away at the remaining strips of bacon, and slid our chairs back from the table just a bit, the deep questions began to sizzle: "Does God want us to suffer? Why doesn't He stop us from being attacked, raped, abused? Why do innocent people get cancer, die in car crashes, and burn in buildings? And in a world where some see fertility and pregnancy as a hindrance or an imposition on their freedom, why do we carry the cross of infertility? We want children!" At the end of the day, can our 3.5 pound brains figure it all out? I think the answer lies, not in the middle of this human drama, but in the end. We all love stories. We love the beginning when there's peace. We weep in the middle when things get messy; when characters are betrayed, abandoned, or lose their sense of innocence, purity, and peace. And we love the ending when all things are made well again. In fact, so often in stories, things are made even better than before. Throughout the story, characters either fail or evil befalls them, or both. Why? That's the price of freedom. It wouldn't quite be a story if the characters had no freedom. Why do we love stories, movies, books, romance? Because the story is a reflection of what's happened and is happening right inside of us. Each of us longs for a golden age, the shimmering place that was "in the beginning" (even if we've never been there, we still have a sense that that place exists). And each of holds in the heart a tangled knot of sorrows that our fumbling fingers just can't seem to undo, or open up, or lay out in the open again and spread clean so that we can see it rightly. And we all want a resolution — a final fixing, a making right of what once went wrong: the wrong that's happening because of our selfish choices, or the wrong that simply fell on our heads for reasons we cannot possibly fathom. Si comprehendis, non est Deus — St. Augustine. Clearly this ancient thought of Augustine's wasn't spoken to pacify or placate our itch to know why stuff happens ... but it can help us see a little better. If this crazy and confusing and sometimes tragic life, this whole existence, is a drama, a salvation story that's written and being written every day by the free choices of people and the great swirl of the cosmos and a loving Hand, then I want to stick around and see how it's going to end. The movie isn't over yet. What if I walked out after Han Solo was frozen in carbonite? What if I closed the book when Frodo was trapped in Shelob's dark and dangerous lair, with seemingly no way of escape? In the movie Padre Pio: Miracle Man, there is a powerful scene where he's preaching on the topic of evil and of suffering. A mother is sewing a tapestry, and her little boy is seated below on a low stool, looking up at her work. He sees the jumbled mess of threads dangling under the screen and says "Mama, what is this mess you're making? You've got it all wrong. It's terrible and no one will want it!" I think it's a mess down here. I think we're living in very dark and confusing times. I can't believe the horrors I hear about in the news, the sadness that some of my friends have had to bear. I don't know why we can't have children; why this cross has to be so heavy. It all comes down to trust. We have to reach out in this storm and grasp His hand. We can't put God in a box. Can't try and figure life out like it's a puzzle to be solved and then cast it aside. Life's not a puzzle but a journey toward a Person. And I believe the greatest good is yet to come. Ultimate joy, the bliss we long for, is only here in half notes and little fragments, sometimes sour and sometimes splintered and that should remind us that this life is not the end. The tiny colored threads of our lives, as beautiful and as tragic as they each can be, are only the first sketches of a pattern of infinite beauty. Let's hold on until the day when He tilts the canvas just a bit and shows us the work He's done with the feeble strings we've given Him. Bill Donaghy is a lay evangelist who writes and speaks on topics of the Catholic Faith. He is a certified Theology of the Body speaker, and teaches Scripture in Malvern, Pennsylvania. He and his wife Rebecca live in Lansdowne. Learn more about his speaking ministry and semi-serious blog at www.missionmoment.org. My sister sent this to me today via one of those pass-it-on emails. It is a good one, though, so I thought I would share it. of the box. I was too little to reach the telephone, but used to listen with fascination when my mother talked to it. I walked around the house sucking my throbbing finger, finally arriving at the stairway. The telephone! Quickly, I ran for the footstool in the parlor and dragged it to the landing. Climbing up, I unhooked the receiver in the parlor and held it to my ear. "Information, please" I said into the mouthpiece just above my head. A click or two and a small clear voice spoke into my ear. readily enough now that I had an audience. "Then chip off a little bit of ice and hold it to your finger,"
asked her for help with my geography, and she told me where Philadelphia was. She helped me with my math. She told me my pet chipmunk that I had caught in the park just the day before, would eat fruit and nuts. Then, there was the time Petey, our pet canary, died. I called, "Information Please" and told her the sad story. She listened, and then said things grown-ups say to soothe a child. But I was not consoled. I asked her, "Why is it that birds should sing so beautifully and bring joy to all families, only to end up as a heap of feathers on the bottom of a cage?" Another day I was on the telephone and called, "Information Please." those childhood conversations never really left me. my hometown operator and said, "Information Please." "I'm sorry to have to tell you this," she said. 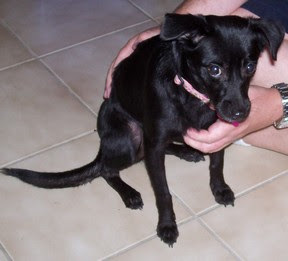 "Sally had been working part-time the last few years because she was sick. Let me read it to you." The note said, "Tell him there are other worlds to sing in. He'll know what I mean." Yesterday, my best friend and I spent a wonderful afternoon visiting the DeCordova Museum located in Lincoln, MA just a few miles outside Boston. It is a modern art museum with an incredible sculpture garden. 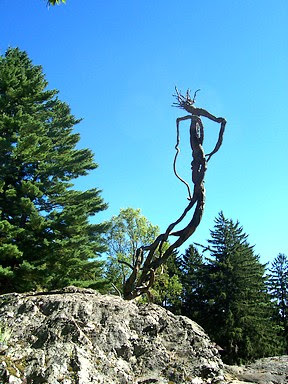 The sculpture photographed here is "Venusvine" by Richard Rosenblum created in 1990. I have had a long love affair with my local order of Dominican Nuns. 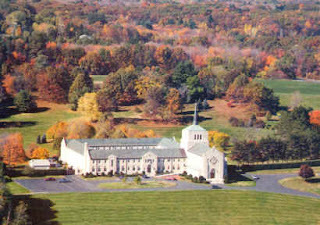 My mother is a third-order Dominican and as a child I spent a great deal of time at this monastery located in nearby West Springfield, MA. It is the most peaceful place I know. I don't get there very often these days but when I do, I am still impressed by the quiet that exists there, all the more noticeable in light of the noise of our world. It is interesting to view the photos and read about the sisters' lives and history. Unlike many active orders of religious, vocations to the cloistered contemplative life are increasing. That life is certainly not for everyone and it is not meant as an escape from the world but rather a special way of ministering to it. We need people in our world who dedicate themselves solely to prayer. If this is a way of life that you are considering, I invite you to explore that calling more fully. In an era in which much art seems to appeal to the lowest common denominator rather than to proclaim the glory of God and God’s creation, it is important to focus on all the good that art can bring to the world. As is the case with all gifts from God, the gift of our artistic sensibilities can be used for good or ill. It is up to those of us who use that gift to make the right choice. There is a responsibility that comes with the gift. In producing a work, artists express themselves to the point where their work becomes a unique disclosure of their own being, of what they are and of how they are what they are. And there are endless examples of this in human history. In shaping a masterpiece, the artist not only summons his work into being, but also in some way reveals his own personality by means of it. For him art offers both a new dimension and an exceptional mode of expression for his spiritual growth. Through his works, the artist speaks to others and communicates with them. The history of art, therefore, is not only a story of works produced but also a story of men and women. Works of art speak of their authors; they enable us to know their inner life, and they reveal the original contribution which artists offer to the history of culture. The arts deserve our support. There are many dedicated artists who work to enhance the beauty of our world through their painting, music, sculpture, photography, fabric arts, etc. Their works may never hang in a gallery. Indeed, many domestic works of art are intended only as private gifts of love – think of a quilt carefully sewed for a new baby or the work that goes into knitting a hand-made sweater or the care with which photographs are taken and arranged in a scrapbook to preserve the memories of a child’s life. Those that do try to share their art on a wider scale, however, can use both our verbal and economic encouragement. While many of us certainly do not have the money to afford expensive works of art, we can make decisions about how we do spend our time and entertainment dollars. Do we support life-affirming movies, television programs, and music or do we prefer those that appeal to our baser interests? Do we buy or read books and magazines that are trying to bring greater good to the world or do we choose those that degrade people and creation? Do we visit websites that help us learn and grow as a person or do we spend our time on less-noble pursuits? We do have choices in the artistic expressions that we support. The world needs artists and we all are in some way called to create. Our responsibility then is two-fold – to use our gift of creation wisely, as a tool of love and beauty and positive transformation of the world, and to support others who do the same. "Waking Rose" by Virginia author Regina Doman, best-known for her best-selling Children's book “Angel in the Waters,” is the third in her series of novels with Catholic characters and themes based on fairy tales. The series began in 1997 with the publication of the book that became "The Shadow of the Bear: Snow White and Rose Red Retold". This contemporary story retold an obscure German folk tale about two sisters whose bear friend turns out to be an enchanted prince. Regina's retelling centered on two homeschooled girls in New York who encounter a teenage boy living on the streets under the name of "Bear." Bear turns out to have a mysterious mission that involves the unsolved murder of a Catholic priest and an abandoned church. The series continued with the same characters in her 2002 sequel, "Black as Night", based on the more well-known tale "Snow White and the Seven Dwarves." "I retold it as 'Snow White and the Seven Friars'," Regina laughs. "I used some of my experiences working with the Franciscan Friars of the Renewal in New York before I was married." This book, which Regina admits is probably the most intense, has Bear searching for his girlfriend, Blanche, who has vanished after a summer job unexpectedly threatened her life. Meanwhile, seven friars find a girl named Nora hiding in the storage room of their homeless shelter. Nora resembles Blanche but is hiding her identity. Several twists occur before a climactic and satisfying resolution. "Waking Rose", based on "Sleeping Beauty," is the story of the second sister, Rose, who has had a crush on Bear's younger brother, nicknamed Fish, for the past two books. Fish has always rebuffed Rose, sometimes humorously, for reasons that finally become clear in this book. "Fish feels his problems are insurmountable, and that they've cut him off from normal life," Regina explains. "But Rose still has hope for him, even though she tries to move on with her life." When a tragic accident occurs, Fish finds out that he might indeed be the only person who can save Rose. "I tried hard to make this a book that was as colorful and adventurous as the character of Rose Brier," Regina said. "Partly to balance out the serious problems the characters in this book are dealing with, and partly to provide a fitting close to the trilogy about these four characters." Even without having read the first two installments of the trilogy, “Waking Rose” engages the reader and invites her into the world of these multi-dimensional characters. The first portion of the book seems like a simple romance story of a young woman attempting to gain the attention of a young man who doesn't care for her in that way. She then goes off to college where she has the opportunity to meet other eligible interesting bachelors who take their Catholicism seriously and their love of medieval life to a whole new level. There is more here than meets the eye, however. A simple college paper sends Rose hunting for fragments from her past and leads her, Fish and her sword-wielding friends into a deep mystery and a battle for life and death. There are many surprises in store for the characters as they battle both their internal and external demons. “Waking Rose” is a wonderful addition to the genre of Catholic Fiction. Although aimed at a teen audience, adults will enjoy this trip into the world of fairy tale as well. Regina says she takes her inspiration for the novels from G.K. Chesterton, who once wrote that fairy tales endure because they feature ordinary people in extraordinary circumstances, and that they teach children not merely that dragons exist, but that dragons can be slain. “Waking Rose” continues that great tradition of good versus evil, in which despite tremendous odds, good eventually wins out. 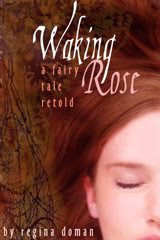 To find out more or to purchase “Waking Rose,” visit www.fairytalenovels.com. I just heard on the morning announcements at the place where I work that today is world gratitude day. So, make an extra effort today to be thankful - to God, to your family members, to your friends, and those you encounter during your day. And so, I thank you for taking the time to read this and allowing me to be part of your day! Cal Thomas writing for the Tribune Media wrote an article criticizing the dismal performance of college students on this test, stating that we need an informed citizenry and that anyone who couldn't pass this test got a poor college education. I disagree. While it is important that Americans have a basic understanding of how our government works and the importance of voting, most people spend their time in college studying other things. Also, as the years past, information that you don't use fades from your mind. For example, while I did well in Calculus in High School, I couldn't solve a Calculus problem to save my life today. This doesn't mean that I didn't study or that my teachers didn't teach well. It just means that my brain has chosen to use that storage space for something else. I have always admired people who had a single-minded focus. They knew what they wanted to do in life and then went out and did it. This was not me. I have had a somewhat eclectic life. I have a B.A. degree in Art and History, both subjects that I loved. I have a Masters degree in Theology, another subject that I greatly enjoy. My jobs over the years have included cashier, art framing shop consultant, graphic artist, secretary (yes, I did actually make coffee! ), Coordinator of Weekend College, Coordinator of Data (I'm not kidding - that was actually my title), Academic Adviser, web designer, technical consultant, writer, book-keeper, child advocate, and of course, mom. Now, lest you think I suffer from a serious case of job-hopping, I actually worked many of these jobs concurrently on a part-time basis. I have spent years trying to find that "one thing" I could be great at and really devote my life to. I have come to the conclusion that is just not my destiny. I'm good at a lot of different things and I like variety in my life. The truth is that there is many other people like me in the world. In her book, "Renaissance Soul: Life Design for People with Too Many Passions to Pick Just One," Margaret Lobenstine suggests that multi-interest people choose four areas to focus on. These areas, appropriately enough, are called "focal points." These focal points are not fixed in stone and can change over time as new interests emerge and old ones fade. The goal then is to devote some time each week to each focal point. Lobenstine also offers career advice for people like me as well. She suggests finding ways to incorporate your focal points into your job as well as ways to pursue your focal points even if your j-o-b is really just a way of making money to live and not related to your passions at all. What Ever Happened to Common Sense at the End of Life? What woman with ten drachmas would not, if she lost one, light a lamp and sweep out the house and search thoroughly till she had found it? And then, when she had found it, call together her friends and neighbors, saying to them, “Rejoice with me, I have found the drachma I lost.” In the same way, I tell you, there is rejoicing among the angels of God over one repentant sinner. I was reflecting on this Gospel passage earlier today trying to think of something to write for this weekly reflection. I was racking my brain attempting to think of something I had lost that I truly rejoiced upon finding, something so special to me that I would have given just about anything to get it back. Of course, I have lost things. Over the years I have lost more than one piece of jewelry. This is why, when I do wear jewelry, it tends to be the inexpensive kind! Just a couple weeks ago, I lost my journal at the grocery store. There is a small café there that my husband and I sometimes stop for a while in to rest and read while our children play at the “kids club” that the store generously provides. That particular week had been very busy and I hadn’t had time to write in my journal so I brought it along knowing I would have the opportunity. Unfortunately, my husband forgot to take it out of the cart when he was unloading the groceries into the car. When I realized it had been forgotten an hour later, I went racing back to the store where thankfully someone had turned it in to lost and found. I truly had a pit in my stomach when I realized it was missing. I felt like I was about to lose my memories of the past year. I felt great relief when it was back safely in my possession and I learned never to bring my journal to the grocery store again. But did I rejoice? No, not really. Today, however, I realized something was lost that truly, if I could find it, I would be jumping for joy. As a first-grade student, my son David has homework every night. His teacher generously provided him with a “Take-Home” folder, laminated with his name on it and special pockets for work to stay at home and work to be brought back with sheets in the middle for writing his homework assignments on. I have somehow managed to lose that folder. I had it on Friday when he came home from school as I looked over what needed to be done. I thought I had put it back in his backpack, but when I looked there today to sign that the required assignment had been completed, it was nowhere to be found. I tore the house apart looking for it. I searched through the trash and recyclables in case it had been inadvertently picked up with something else. I prayed to God and St. Anthony to no avail. This folder has just disappeared. I feel horrible. It is not that it has any great intrinsic value, but it wasn’t mine to lose. It was David’s and I don’t want him to get in trouble because of something that is my fault. I don’t want to get in trouble with his teacher either. I hate getting in trouble with teachers. I once faked being ill in fifth grade because I had forgotten to do one part of my homework (Sorry, Sr. Edna!). So, I have written a note to his teacher, explaining that the missing folder is, in fact, my fault, and gave her three dollars to cover the cost of the folder. I hope that she is forgiving and doesn’t punish David for my mistake. So, this Gospel does resonate with me today. This folder is something so inconsequential in the big scheme of things, yet I was on the verge of tears about losing it and would be so very thankful if it was found. How much greater is heaven’s joy when a soul that was lost comes back to God! Heidi Saxton over at http://mommymonsters.blogspot.com/ will be hosting a "Catholic Carnival" next week. She asked those who wanted to contribute to write about lessons learned from their children. So, here it goes. Before I had children, I always moved at a fairly quick pace. When I would go out for a walk, the purpose would be to get exercise so I would go at a good clip. My children changed that. Small children like to take it all in. You take a few steps and you stop and you look at the flowers, at the rocks, at the fire hydrant, at the sewer, and whatever else might be in the path. Then, you take a few more steps and you do it again. Meanwhile, your hands and pockets end up full of treasures like dandelions and smooth stones and sticks. As adults, we tend to give great value to staying the course. Children feel free to change their mind for any reason. My children hated dogs. They would run screaming whenever one would come near. About a month ago, they decided they wanted a dog! Now we have one and they are enjoying her company. Children know it is OK to grow and change and try new things to see how it all works out. I always found it amazing that I would discipline my children, they would cry, and then come to me for comfort - arms outstretched looking for hugs and kisses which of course, I was happy to provide. There were no hard feelings. The same holds true with how they treat each other. They can be fighting and shouting at each other and five minutes later they are playing happily as if the big fight never happened at all. I've learned much more from my children and will continue to do so. I am a very different person now than I was seven years ago before they came along. I am less selfish and more patient. They force me out of my shell on many occasions. They make me a better person. Hopefully, I am helping them be better people, too. Yes, my children who have run screaming from dogs for their entire lives decided about a month ago that they wanted a dog. This was music to my husband's ears. When I met him owned a huge Rottweiler who he sadly gave away in order to marry me. He has been dying to own a dog ever since. In other news, David lost a tooth today. It is the third one he has lost but it his first one in a year. At this rate, he will be 16 and still losing baby teeth! And the van broke down for the second time in a week - AFTER the mechanic at the dealership said it was fine. Actually the mechanic said that it was the key - something about the theft protection - but they did not replace the key! ARGGH! It is often said that the best things in life are free. Today had several moments in it that only served to confirm that for me. David came home from school happy. Those of you who have been following the whole David - school saga over the past year know that that is a rare gift, which seems to be happening on a somewhat regular basis this year. Hearing him talk about his day in a positive manner and showing enthusiasm for what he is doing is priceless. Then, we were outside this afternoon. It was a beautiful late summer / early fall day. The sun was shining and there was a steady breeze. In the sun it was warm and in the shade it was cool and it was just perfect. The boys were playing with their friend who lives next door and the sound of their laughter and joy were just resounding. How can life get any better than that! Thank you, God, for simple gifts. What were the good moments in your day to thank God for? So, then, as you received Jesus as Lord and Christ, now live your lives in him, be rooted in him and built up on him, held firm by the faith you have been taught, and overflowing with thanksgiving. Make sure that no one captivates you with the empty lure of a 'philosophy' of the kind that human beings hand on, based on the principles of this world and not on Christ. One of the things I have learned from studying the Bible is just how much people tend to invent their own interpretations of it. One so-called interpretation is the "Gospel of Prosperity" - that God wants you to be wealthy. While this would definitely be nice, that isn't what the Gospel says. In fact, the Gospel repeatedly tells people to give their possessions away! I would definitely consider this one of the "philosophies" that is based on what this world values rather than what God values. Are you looking for a unique gift idea for some little children in your life? Check out these adorable bath towels from The Lenti Zoo. I'm doing some web design work for them and I really think that their designs are very cute! New! Get Blog Posts Via Email! Thanks to Feedburner you can now get notified when there is a new blog posting via email. Sign up to the right. Simply enter your email address. No one could deny that this week’s Gospel message is hard to take. St. Luke relates that Jesus tells us that “Anyone who comes to me without hating father, mother, wife, children, brothers, sisters, yes and his own life, too, cannot be my disciple. No one who does not carry his cross and come after me can be my disciple.” (Lk 14:26 NJB) As my pastor indicated in his sermon this Sunday, some of this is a rhetorical tool of exaggeration to make a point. There is no getting around the point, however. Discipleship is hard. The rewards are great, but the road is far from easy. The past couple days, my children and I have been reading about St. Joan of Arc. St. Joan was a young girl living in France in the early fifteenth century. At the time, France and England were embroiled in the Hundred Years War. At age thirteen, she began to hear voices that carried messages from God. By the time she was seventeen, she was convinced that God wanted her to lead French troops in battle to aid King Charles VII of France. After much effort and passing a series of tests, the King finally believed her and she ultimately experienced much victory in battle. Eventually, however, she was captured and put on trial. She never recanted her statements about her visions. As a result, she was convicted as a heretic and burned at the stake in 1431. She was only nineteen years old. Exonerated of her crimes thirty years later, she was canonized in 1920. St. Joan obviously knew the cost of discipleship and was willing to pay the price. She was so young. It would have been easy for her to ignore the visions and voices. Her family and friends thought she was foolish. She had to persevere relentlessly to eventually get an audience with the King. It would have been so easy to give up, to go back home and live a quiet life as a French peasant. She might have been married and had children. She might have been “normal.” Instead she said “yes” to God’s plan, even to the point of giving up her life. She was willing to reject it all to do what God asked. Lives of the Saints are filled with stories like Joan’s – men and women willing to give up parents, children, siblings, and even their own lives to answer the call of discipleship. Thankfully, God does not ask such a high price of all of us. Most of us are able to serve God without having to give up our families and our lives. Yet, there is always a cost to discipleship, a rejection of some things in order to say “yes” to other, greater commitments. God is asking us to put Him first. It is well and good to love our families, but we need to love God more. We can hope that the request never comes, but if asked, we should be willing to give it all up for Him. He made us. Our lives are His. Our task, like St. Joan of Arc’s, is to do what He commands. “Stories of the Saints” is a new graphic series by Arcadius Press depicting lives of the saints in richly illustrated panels with fast-moving text. Volume I includes the stories of Saint Patrick, Saint Jerome Emiliani, Saint Joan of Arc, Saint Henry, and Saint Elizabeth Ann Seton. These vibrant stories, which are told utilizing stunning and entertaining imagery, promise to engage readers of all ages through memorable storylines which entertain, educate and inspire. ”Do you live a life that encourages others to follow God?” These questions help establish the theme of the saint’s life that the story seeks to portray. Another helpful feature is “A Saint’s Journey” which is at the end of each section. It provides a chronology of events in the Saint’s life as well as the date of canonization. I shared this book with my children who enjoyed it immensely. I enjoyed it as well. I like that the series, which has three more books yet to be published, tells of both well-known and less familiar saints. This allows for readers who are well-versed in the lives of the saints to still learn something new. While the stories are brief and of necessity, much of the saint’s life story must be left out, the writers and editors did a wonderful job of hitting all the crucial elements. I heartily recommend “Stories of the Saints.” With its graphic style, it has the potential to interest some who might not otherwise pick up a book on lives of the saints, while those who already enjoy saints’ stories will appreciate the unique approach. This was the latest column from Janet Cassidy on "Cassidy Comments." I invite you to visit her website at www.janetcassidy.com where you will find news & commentary, scripture reflections and her blog! For some of us, Fall is a wonderfully refreshing time where there is a coolness in the air and relief from the heat of summer. For some it is a time of sadness, an overwhelming anticipation of the cold, dark days of winter. Still, for others, September brings about a sense of restlessness, perhaps anxiety, unattached to anything in particular. Much like our seasonal changes, our spiritual growth can, at times, also be wonderful, overwhelming and fear-inducing, as God calls us closer and asks more of us. The question is whether or not we are willing - in the midst of these intense, often confusing feelings - to say Yes to God. It is helpful to remember that our movement toward God should not be founded on feelings alone. Faithfulness and all that our commitment to Christ entails is about believing in the midst of doubt, acting in the midst of uncertainty, and fulfilling our Yes, even after realizing it is much more difficult in reality, than it is in theory. We mustn't fool ourselves. When we say Yes to God - whether it feels refreshing or overwhelming - it will always bring considerable change. I encourage you to put all of your trust in God today. Count on His love to help you through whatever you may be experiencing. Let your faithfulness carry you through the seasons of life, when your weariness threatens your peace. Do you ever have days when you just wish you could disappear? I've been having one of those days today. It wasn't that anything particularly terrible happened - just a lot of little things that made me wish I could run away, or at least hide under my bed covers for a while. It can be a challenge to keep the faith on days like this. It is tempting to ask God, "Is this really where you want me to be? Things are such a mess!" This is where Blessed Mother Teresa can be such an inspiration. Mother Teresa went to her eternal reward 10 years ago today (September 5th). A new book, "Come, Be My Light" by Father Brian Kolodiejchuk probes deeply into the dark night of the soul that Mother Teresa endured for fifty years. In spite of all her wonderful works of charity and even with the very personal call that she had received from Jesus to serve the poor, she then spent most of her long life feeling that God had abandoned her. If anything, this makes her faithfulness all the more impressive. She kept going day after day even when it hurt. She believed even when she couldn't feel God near her. In 1946, Mother Teresa offered the following description of how Jesus called her: "You are afraid. How your fear hurts me. Fear not. It is I who am asking you to do this for me. Fear not. Even if the whole world is against you, laughs at you, your companions and superiors look down on you, fear not. It is I in you, with you, for you." She held on to her in faith in the face of seemingly insurmountable odds. What a lesson for all of us! I respect my friends who believe in a talent that affords a display of conventionally recognizable skills. I, however, believe that talent is courage and desire and that everything else can be learned. Gratitude is the great creative tool. I think that statement gives great hope for those of us who are still struggling to find our talents in life. We are never too old to have the desire and courage to learn something new. School starts tomorrow and with it all the craziness begins, but we had one last beautiful day in which David learned to ride a bike without training wheels! Every new skill is so difficult for David to master and so you must bear with my enthusiasm. It was so awesome to see him going and keeping his balance! We were so thrilled and he was so proud! What a great accomplishment to have right before starting 1st grade. It was entirely coincidental but we read "Mrs. Peachtree's Bicycle" by Erica Silverman today as well which we had picked up from the library last week. It is about an older woman in the late 1800s learning how to ride a bicycle. People keep telling her she is too old and that she should give up trying, but she keeps at it despite many interesting accidents. I had never thought about it because we consider it a childhood rite of passage, but of course when bicycles first came out adults had to learn to ride them. I'm sure it was quite an adventure! What is the prize that you seek in life? Leonard Pitts of the “Miami Herald” recently penned a column that instructed young people to “never do what feels good in the moment if it’s going to cost you something that matters a whole lot more in the end. The trade is never worth it.” That is good advice for all of us. Any long-term goal that we are reaching for requires sacrifice in the short term. Think of trying to lose weight. The goal is there. You want to lose weight for a variety of reasons – your health, your self-esteem and your energy level. You know what you have to do to get there – change your eating habits and exercise more, but right in front of you is the double chocolate fudge cake just screaming to be eaten. What matters more, the immediate satisfaction or the long-term goal? Or think about finishing or continuing your education. The goal is good – the opportunity to create or advance your career, but the sacrifice can be huge in terms of both time and money. Is it worth it to skip class and not take the education seriously in order to go out and party now? The same test can be applied to our spiritual life. The goal is heaven. Most of us will probably admit that we are not hoping to get there tomorrow seeing that we are enjoying life where we are, but we do want to go! Yet every day, we are faced with choices that ask us to decide whether we care more about the present moment or the ultimate destination. If you think about it, most of the time we sin because it feels good at the moment. Gluttony? We had to have the food. It looked so good and was so tasty. Lust? Fornication? Adultery? We were in love. It felt so right. How could it be wrong? Greed? Envy? We were entitled to those things. Our lives are better when we have more. We sin because in our estimation, the sin somehow improves our lives in the short term. We lie to keep ourselves out of trouble. We engage in behavior we normally wouldn’t because it increases our status in the eyes of our friends or colleagues. We react in anger instead of love because we feel justified that we are right. It gives us some temporary satisfaction to make someone else uncomfortable to “pay them back” for whatever wrong they perpetrated against us. At times when the temptation to sin comes, we need to remember what is at stake. We have choices. Do we keep our eyes on the prize that is eternal life or do we turn our back on God for some momentary pleasure?